There are no comments for Japanese Iris Orange Black. Click here to post the first comment. 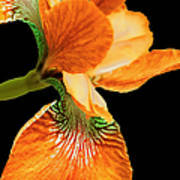 Japanese orange Iris flower with a black background. 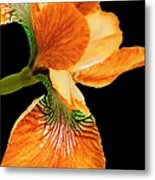 Flower is also available in a vertical view. Choose background colors in white or black. 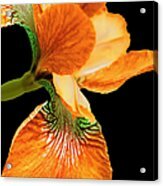 This floral design is also in colors of purple, hot pink, red, violet, or turquoise. 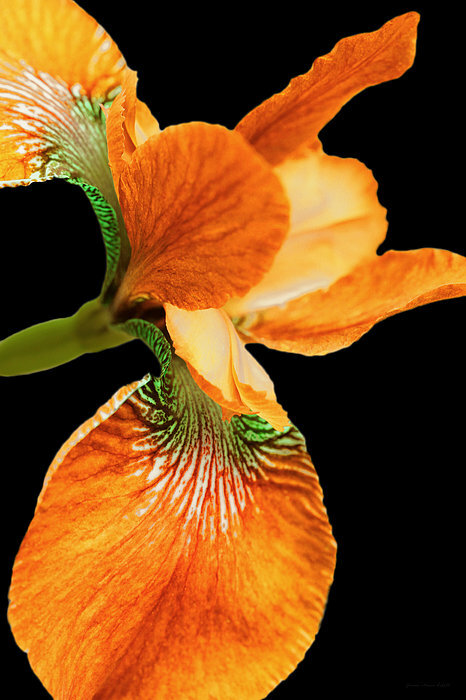 Botanical name Iris Sanguinea. Copyright by Jennie Marie Schell. All Rights Reserved.